The Pittsburgh Pirates have filled their hitting coach vacancy with former Nationals coach Rick Eckstein, per Bill Brink of the Pittsburgh Post-Gazette (via tweet). Eckstein’s career can be traced back to 2004 when he served in the Montreal Expos’ organization as a minor league hitting coach for two seasons. From there he spent the next three years as the hitting coach for the Nationals’ and Cardinals’ Triple-A affiliates. David Eckstein’s older brother joins manager Clint Hurdle’s staff with four years of previous major league hitting coach experience with the Washington Nationals from 2009 to 2013. After being released mid-season from manager Davey Johnson’s staff, Eckstein spent the year after in the Angels organization where he served as a front office liasion, a role that merged the responsibilities of an assistant hitting coach with those of an advanced scout. For both 2015 and 2016, Eckstein moved to the college ranks as an assistant hitting coach for the University of Kentucky before spending the last two seasons as the minor league hitting coordinator for the Minnesota Twins. He’ll work to improve a Pirates’ offense that scored 692 runs in 2018 – 20th overall in the MLB. They were 25th in home runs and 16th in slugging percentage. They did display some decent contact skills, striking out at the fifth lowest rate in the majors (20.3%) while tying for 8th league-wide in batting average (.254). At his disposal, Eckstein will have an offensive core that should be entering their prime. Starling Marte is the oldest of the group at thirty, and Gregory Polanco is somehow still just 27-years-old – but they also boast a trio of 26-year-old regulars – Josh Bell, Adam Frazier, and Colin Moran – that will need to excel for the Pirates to contend in a crowded NL Central. The 45-year-old Eckstein takes over for Jeff Branson, whom the Pirates let go along with assistant hitting coach Jeff Livesey in early October. Both Branson and Livesey had served in their posts since 2014. There’s not much “momentum” on a trade involving Mets catcher Devin Mesoraco, Mike Puma of the New York Post tweets, though he notes that a deal still may come together by the non-waiver deadline on Tuesday. Mesoraco has already been part of one trade this year, as he joined the Mets in May in a deal for now-Reds righty Matt Harvey. The 30-year-old Mesoraco has batted .230/.206/.393 with eight home runs in 219 plate appearances and caught 26 percent of would-be base stealers this season. He’ll be a free agent in the offseason. Cubs right-hander Tyler Chatwood is headed to the team’s bullpen to make room for just-acquired starter Cole Hamels, Jesse Rogers of ESPN.com was among those to report. Chatwood joined the Cubs on a three-year, $38MM contract last winter, but the deal hasn’t worked out as planned for the club. Prior to his demotion to a relief role, Chatwood walked a ridiculous 8.14 batters per nine innings across 94 frames (19 starts) and pitched to a 4.98 ERA/5.57 FIP. The Pirates placed outfielder Corey Dickerson (left hamstring strain) and first baseman Josh Bell (left oblique strain) on the 1o-day disabled list Saturday, per Jerry DiPaola of the Pittsburgh-Tribune Review. The club recalled outfielder Austin Meadows and first baseman Jose Osuna from Triple-A to take their places. If not for Pittsburgh’s recent hot streak, it may have been in position to sell Dickerson prior to the deadline. The 29-year-old, who’s on a $5.95MM salary in 2o18 and has one arbitration-eligible season left, has batted a terrific .318/.351/.517 with 11 home runs in 367 plate appearances. The Nationals reinstated outfield prospect Victor Robles from the disabled list Friday and activated him at the Triple-A level, according to Mark Zuckerman of MASNsports.com. The 21-year-old Robles has missed nearly all of this season after suffering an elbow injury early in the spring. He continues to rank as one of the majors’ premier prospects, though, as evidenced by Baseball America grading him as the game’s sixth-best farmhand in its most recent top-100 list. Brewers first base prospect Jake Gatewood will undergo season-ending surgery after suffering a torn left ACL, Adam McCalvy of MLB.com tweets. The 22-year-old Gatewood, Milwaukee’s 14th-best prospect at MLB Pipeline, hit .244/.302/.466 with 19 home runs in 388 PAs at the Double-A level this season. The Pirates have shifted Andrew McCutchen back to center field will utilize a combination of Adam Frazier, Josh Harrison, John Jaso and Jose Osuna (who was called up from Triple-A following Marte’s suspension) in right field, as MLB.com’s Adam Berry writes in an excellent breakdown on the fallout from Marte’s 80-game ban. The Bucs have no plans to shift Josh Bell back to the outfield at this time, per Berry. While the immediate reaction from many was that Marte’s suspension could open a window for touted outfield prospect Austin Meadows, GM Neal Huntington ruled out that possibility (also via Berry’s piece). “We’re encouraged by where Meadows will be at some point over the course of the summer,” Huntington told reporters. “He’s not ready right now, but we’re thrilled by where he can go.” It’s hard to refute Huntington’s assessment; even though Meadows clearly comes with a lofty ceiling, he’s followed up last year’s .214/.297/.460 showing in 175 Triple-A plate appearances with a mere .146/.217/.244 line through 46 PAs in Indianapolis this season. The Pirates typically wait until their top prospects have avoided Super Two status before promoting them to the Majors anyhow, but statistically speaking, Meadows has yet to demonstrate that he’s ready for more advanced competition. Cubs first baseman Anthony Rizzo was among the players to call for more testing throughout the league. Rizzo was doing an interview with Yahoo’s Big League Stew at the time the news of the suspension hit, and told them (Twitter link): “It kinda makes you angry as a player, because you know there are still flaws in the system, you know there are still guys getting away with it. For me, I’ve been drug tested zero times this year. Not once since the beginning-of-Spring-Training standard drug test. Guys are going to get away with it as long as they can and obviously everybody’s going to say they didn’t know they were doing it.” Many current and former players took to social media to call for more stringent testing policies and, in some cases, harsher punishment for first-time offenders. ESPN’s Buster Olney opines that Marte’s suspension taints his legacy in Pittsburgh to the point that he can never provide a suitable return on their long-term investment in him. Marte’s suspension comes early in a pivotal season for the Pirates that may very well be McCutchen’s last year in black and yellow, Olney notes, and Pittsburgh had very little margin for error as it sought to keep up with the Cubs and Cardinals. While it’s hard to disagree with the notion that Marte’s suspension is a poorly timed blow that that Pirates could ill afford, the suggestion that he’s “torpedoed” his value beyond repair seems excessive. Marte is earning a combined $17.5MM in 2018-19 and has a pair of reasonably priced club options for the 2020 and 2021 seasons. Yahoo’s Jeff Passan lists a number of myths and truths about performance enhancing drugs in a reaction column, ultimately calling for transparency and regulated use of certain substances (though not necessarily Nandrolone). Passan points out that some steroids are already commonly used (e.g. cortisone injections for pain) as a reference point when citing that the term “performance enhancing drugs” is rather arbitrary in its nature. “There is a place for chemistry in baseball and all other sports, and it is in a tightly regulated, ever-evolving partnership with doctors, chemists, politicians, ethicists, management and players to develop fair rules for sport while acknowledging sport itself can benefit from the use of drugs,” writes Passan. “The rules in place now don’t work. They never have. They never will.” Passan also suggests that PEDs will never be eradicated from baseball and disagrees with any suggestion that Marte’s value has somehow been erased by the suspension, among other points. Marte might be the best player (at the time of his punishment) to ever receive a suspension for performance enhancing drug use, writes The Ringer’s Ben Lindbergh. Lindbergh profiles the numerous reasons that Marte has flown under the radar as one of Major League Baseball’s most underrated and unheralded stars in recent years, though certainly now that view will be tainted in the eyes of many. As Lindberg adds, there’s a cascading effect of Marte’s suspension, in that the downturn in the Pirates’ expected performance will now make a trade of McCutchen and, eventually, a promotion of Meadows all the more likely. 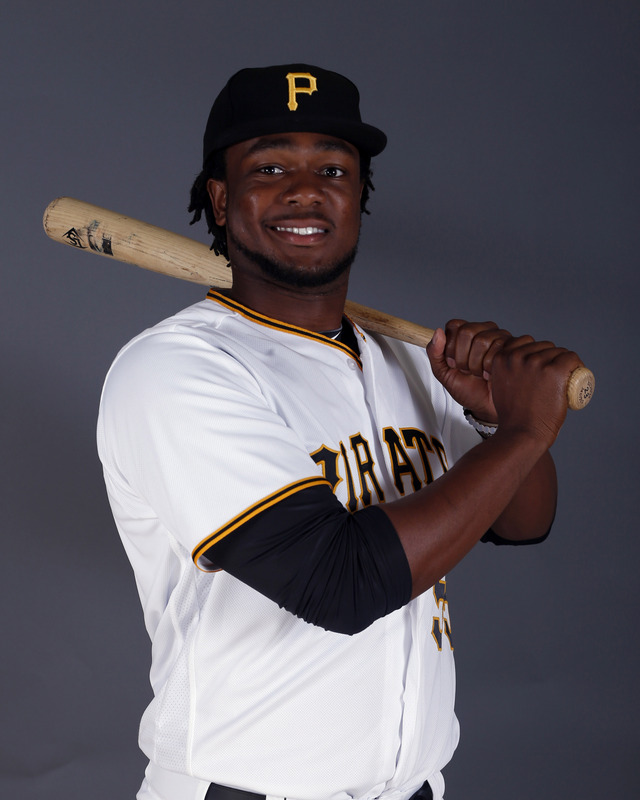 The Pirates have announced that exciting young hitter Josh Bell has undergone knee surgery to remove a loose body from his left knee. He is expected to require a two-to-four-week down period before resuming baseball activities, which could put his Opening Day status in doubt. It seems that the procedure is a fairly minor one; certainly, there’s little reason to think it seriously clouds Bell’s outlook for 2017 and beyond. It’s true, as Bill Brink of the Pittsburgh Post-Gazette notes on Twitter, that this is now the third recent injury to that joint, but all have been relatively minor. While it’s disappointing that the surgery did not occur until this late stage, Pittsburgh explains that Bell felt discomfort during offseason workouts and was examined upon reporting the issue to the club. Bell, 24, cracked the majors for the first time in 2016. While the switch hitter didn’t show much power, Bell exhibited a rare mastery of the strike zone, recording 21 walks against just 19 strikeouts over 152 plate appearances. He ended with a strong .273/.368/.406 batting line, setting the stage for a much more prominent role in the season to come. The Bucs are well positioned to deal with any absence, though the injury adds to the creeping uncertainty in the corner infield. Presumptive third baseman Jung Ho Kang is a question mark after a regrettable DUI incident — though he’s expected for camp. David Freese and John Jaso remain on hand to pick up any slack, and there’s depth beyond that. The 40-man roster includes versatile fielders such as Alen Hanson, Adam Frazier, and Gift Ngoepe, while Jason Rogers and Joey Terdoslavich are among the non-roster possibilities to fill some time at first base. Royals center fielder Lorenzo Cain says that the Grade 2 wrist strain that ended his season won’t require surgery this winter, writes Rustin Dodd of the Kansas City Star. Cain explained that he’s already had a month of recovery under his belt and expects to have a typical offseason, as he usually doesn’t begin his primary hitting program until January anyhow. Cain moved from center field to right field late in the season after returning from a hamstring injury, but Dodd writes that the Royals’ preference is to continue to deploy him in center field, where he’s graded out as one of the game’s premier defensive players over the past few seasons. However, Dodd also notes that the Royals will consider giving Cain more time in right field next season if they believe that will help to keep him healthier. While much has been made of Josh Bell’s bat, defense will be the primary focus for the promising young Pirates slugger this offseason, writes MLB.com’s Adam Berry. GM Neal Huntington spoke to Bell at season’s end about his desire for Bell to become proficient both at his natural position of right field and his more recently adopted position of first base. “That’s going to be my main focus, making sure I’m more versatile next year,” Bell told Berry. “You have a few guys in every lineup that can play all over the field. Those guys are your most valuable players. I hope to be one of those guys next year.” While Bell obviously won’t be lining up in the middle of the diamond anytime soon, there’s an obvious benefit to freely being able to move him between the corner outfield and first base without fretting much over defensive issues. As Berry points out, a crowded outfield and the presence of first baseman John Jaso on the roster as well could lead to an offseason trade but could also make for some nice depth in the 2017 season if everyone is retained. A lack of bullpen depth proved to be a glaring deficiency for the Cardinals this season and must be addressed by general manager John Mozeliak over the winter, opines Jeff Gordon of the St. Louis Post-Dispatch. Gordon points out that with Carlos Martinez, Adam Wainwright, Mike Leake, Alex Reyes, a returning Lance Lynn, Michael Wacha and Jaime Garcia (whose option seems likely to be picked up) all in the rotation picture, the rotation looks to have good depth (though further depth could be added on minor league pacts or small deals this winter), but the ’pen took hits with the loss of Zach Duke and Seth Maness to Tommy John surgery. Potential replacements for Duke like Tyler Lyons and Marco Gonzales battled injuries this season, and Trevor Rosenthal’s inconsistencies and injury problems render him a question mark as well. Gordon calls for multiple arms capable of pitching high-leverage innings and makes his case that said relievers should be a focal point in the Cardinals’ mission to improve their run-prevention skills this winter. Outfielder Logan Schafer, who was outrighted off the Twins’ 40-man roster earlier this week, confirmed that he’ll elect free agency to Mike Berardino of the St. Paul Pioneer Press. That was all but a foregone conclusion for a veteran of nine professional seasons that lost his roster spot. Schafer tells Berardino that the Twins “treated me well and with great respect” and says he’s open to a return, though he recognizes that they’re in for a busy offseason and he’s probably not on their list of priorities. The 30-year-old center fielder hit .238/.342/.317 in 75 PAs with the Twins after slashing .264/.340/.361 in 64 games for their Triple-A affiliate. Schafer should find the opportunity to compete for a bench spot with a big league club somewhere this winter. You can check out MLBTR’s full list of 2016-17 MLB free agents for a refresher on who’s available this offseason. The Pirates have announced that they will place third baseman Jung Ho Kang on the 15-day DL and will recall first baseman Josh Bell to take his place on the active roster. Kang sustained a left shoulder injury while sliding into second base during yesterday’s game against the Marlins. Kang has batted a robust .243/.326/.481 in 267 plate appearances this year, although those numbers have dipped and his defense has flagged in the past two months (although he has three home runs in the past week). He has also faced allegations that he sexually assaulted a woman in a Chicago hotel earlier this summer. With Kang on the shelf, David Freese will likely take most of the Pirates’ playing time at third base. Meanwhile, Bell will likely share time with John Jaso at first. Bell, one of the Bucs’ top prospects, had a brief stint in the Majors earlier in the summer and didn’t disappoint, reaching base in all four of his plate appearances and hitting a grand slam. But the Pirates opted to return him to the minors and continue playing Jaso, despite Jaso’s underwhelming performance at the plate. For the season, Bell has batted .295/.382/.468 at Triple-A Indianapolis, although his glove, rather than his bat, appeared to be the main source of the Pirates’ reluctance to give him regular playing time. The bullpen market has been picking up some steam lately, with the Red Sox acquiring Brad Ziegler from the D-backs and the Marlins landing Fernando Rodney in a trade with the Padres. Miami was apparently in the market for some more controllable bullpen help prior to landing Rodney, though, as MLB Network’s Peter Gammons reports (on Twitter) that the Marlins also spoke with the Brewers about Jeremy Jeffress. Milwaukee had a significant asking price on its closer, however, as Gammons hears that the Brewers asked for right-hander Chris Paddack (the pitcher Miami traded to get Rodney) and two more prospects in exchange for Jeffress. MLBTR’s Jeff Todd has long listed Jeffress on his weekly rankings of trade candidates, noting that it’s understandable for the Brewers to have a steep ask with another three years of club control remaining beyond 2016. Josh Bell has been quite impressive in his limited big league experience, going 2-for-2 with a walk and a monstrous grand slam in three pinch-hit appearances over the weekend. However, Ron Cook of the Pittburgh Post-Gazette writes that the Pirates will option Bell back to Triple-A in spite of his strong first impression, as the team informed him from day one that he was being promoted for the weekend only. “I don’t see moving him to first base in front of [John] Jaso right now with the job [Jaso] has done,” said manager Clint Hurdle to Cook. “I think down the line we’ll see what a little bit more [of Bell] would look like. I don’t know when down the line is.” General manager Neal Huntington tells Cook that he still kicks himself for rushing Gregory Polanco and Pedro Alvarez to the Majors and doesn’t want to make the same mistake with Bell. Nationals GM Mike Rizzo tells Chelsea Janes of the Washington Post that he doesn’t see a glaring need anywhere on his roster that needs to be addressed at the trade deadline. “That’s not to say that we’re a perfect team and we couldn’t upgrade if the right possibility comes,” says Rizzo of his club, however. As far as payroll is concerned, Rizzo adds that the Nationals would be able to take on payroll in order to lessen the prospect cost of a trade. Braves catcher Tyler Flowers is having an MRI on his hand today after aggravating an injury that he sustained a week ago when he was hit by a pitch against the Marlins, writes MLB.com’s Mark Bowman. If a trip to the disabled list is necessary, the Braves could turn to Triple-A backstop Blake Lalli, though doing so would require a 40-man roster move. Bowman has updates on a number of injured Braves, noting that right-hander Shae Simmons has seen improvements in his shoulder since he resumed throwing off a mound. He’s been sidelined all season recovering from Tommy John surgery and twice had setbacks involving his right shoulder. The Pirates will promote top first base prospect Josh Bell to the Majors to make his big league debut tonight, according to multiple reports (Logan Stout first tweeted word of Bell’s promotion). In Bell, the Pirates are promoting a player that ranks 38th on Baseball America’s just-updated Top 100 prospects list (published today). Jim Callis and Jonathan Mayo of MLB.com currently have Bell rated as the game’s No. 43 prospect. A 23-year-old switch-hitter that was selected 61st overall in the 2011 draft, Bell has had a monster season at Triple-A Indianapolis, slashing .324/.407/.535 with 13 homers, 19 doubles and four triples in 359 plate appearances. BA notes that Bell’s defense at first base is somewhat questionable — he just transitioned to the position in 2015 after previously playing right field — but both BA and MLB.com write that he could be a difference-maker at the plate and has middle-of-the-order potential. The 2016 season marks the first in which Bell has truly tapped into the power potential that led the Bucs to give him an over-slot bonus of $5MM back in 2011 when he slipped out of the first round due to signability concerns. Bell’s promotion could mean that incumbent first baseman John Jaso will move into a bench role. Jaso, inked to a two-year, $8MM contract as a free agent this offseason, has provided his typical brand of steady production against right-handed pitching, but he’s limited to a strict platoon and is more good than great against righties (.285/.362/.413 this season). As Bell’s excellent Triple-A production (which recently landed him on Jason Martinez’s “Knocking Down the Door” series) indicates, he carries significantly higher upside at the plate. And, with an OPS north of .900 against both lefties and righties in Triple-A this season, Bell could be a long-term option that doesn’t require a platoon partner. Bell becomes the latest top prospect to join the Pirates’ ranks, as they’ve promoted Top 100 mainstays Jameson Taillon and Tyler Glasnow this year and also called up highly regarded organizational prospects such as Chad Kuhl and Steven Brault to make their big league debuts. Even if he’s in the Majors to stay, Bell will accrue just 86 days of big league service time in 2016, which would leave him well shy of eventually achieving Super Two designation. If this promotion to the big leagues proves to be permanent, the Bucs will control Bell through the 2022 season and he won’t be arbitration eligible until the completion of the 2019 campaign.